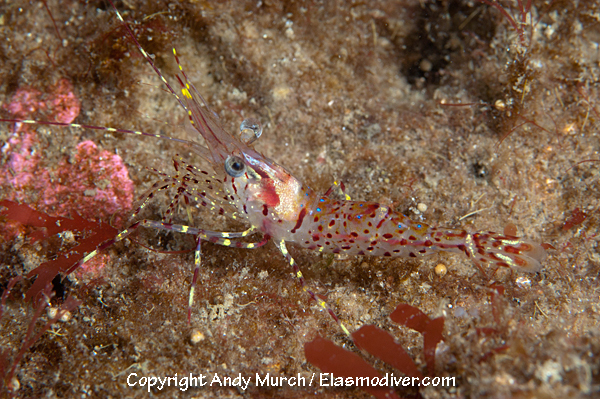 COMMON NAMES: Rough patch shrimp. 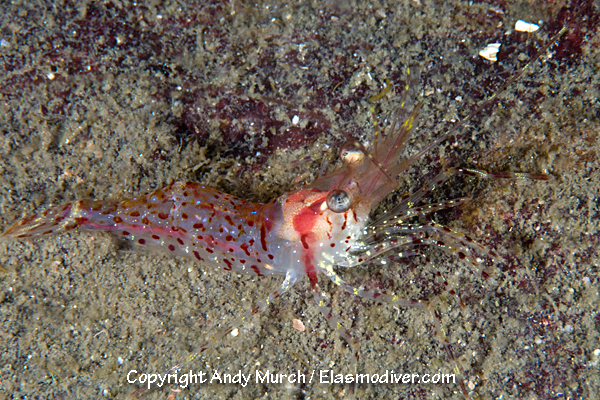 DESCRIPTION: Often confused with the dock shrimp but the rough patch shrimp has more distinct blue dots on the back and lacks the diagonal markings on the abdomen. RANGE: Northern Alaska to Oregon. All of the shrimp images on elasmodiver.com are copyright protected. 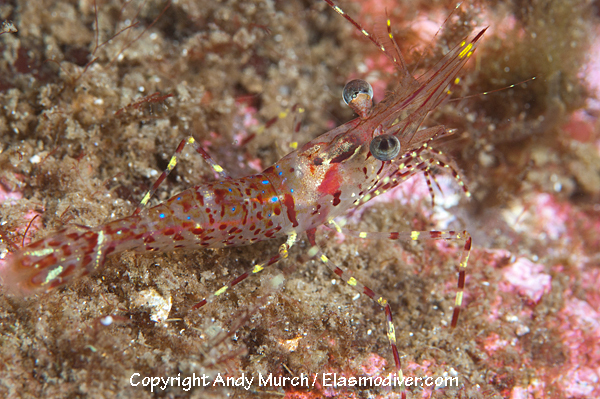 No unauthorized use of these Rough Patch Shrimp pictures is permitted. Please contact Elasmodiver for further information.